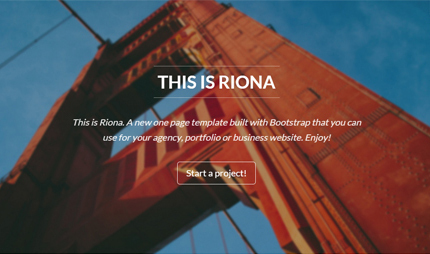 Today’s freebie is a new one-page business Bootstrap theme, named Riona. 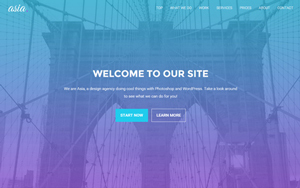 You can use this template for your agency, portfolio or business website to present your work in a professional way and get new clients. Riona comes with a lot of features like: responsive layout, fullscreen backgrounds, modern filterable portfolio, image sliders, 400+ icons, nice animations, working AJAX contact form with validation, testimonials section and many more. Below you’ll find the full list of features, the live preview link and the download link. Enjoy! You can use this template in personal and commercial projects, but you can’t sell or distribute it directly, “as is”. If you plan to use it, a link to this page or any form of spreading the word will be much appreciated. Hi there, brilliant template (riona) It has helped me out tremedously.. 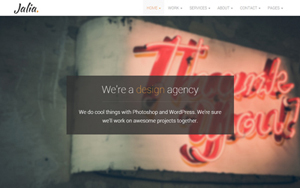 I have used this template for the above url although the portfolio isn’t working on mobile devices…. When I click the sub headers you can see the transition of the page changing but there are zero images… I’m assuming they are there with the transitions working but not visible… they work on ipad, pc and also when I make the pc browser small..